With increasing frequency, video content is becoming more and more prominent on business websites for information dissemination, substitutions for long pages of text, and, in particular, content marketing. With the evolution of the role of video on business websites, new considerations for search engine optimization must be considered. Videos, like all web content, need to be properly optimized and indexed to ensure they are found by potential viewers. After all, if you’re using video as a means of content marketing, you need people to actually find the content in the first place. Though you might not think it has an impact, believe it or not, the file name of the video you’re uploading can actually have a considerable impact on how a video is analyzed and ranked by the algorithms of a search engine. Many times when you upload a video from your digital camera to your computer, you’ll be posed with possibility of naming the file, usually with a default file name associated with the date of when the video was shot (e.g. “07 31 2013 101.MOV”). Though you might think because you’re going to give the video a different title when you eventually upload it to YouTube, it won’t matter leaving it as is — in actuality, it can negatively impact your search results. Search engines often read the file names of the videos you upload, even if those file names aren’t visible to regular website visitors without viewing the properties of the file. Instead, you should opt to name your file with a keyword-laden title. You should also separate keywords with hyphens or spaces (e.g. “search-engine-optimization-seo-video-houston-texas.MOV”, because search engines are not always the most efficient at distinguishing words from one another. If you do this, your videos will be more efficiently crawled, indexed and ranked on the SERPs. 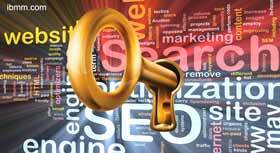 Keywords are a crucial part of the SEO of pretty much any piece of content found on the web, but especially so for video. Since videos by their very nature are not blocks of text that are easily discernible by a computer, keywords are incredibly important to aid search engines in determining what comprises the content of your uploaded video. Therefore, don’t leave any of those fields blank on an upload form — fill them out with great keywords that will help promote your video. To reiterate, computer programs are still in the process of becoming sufficient at analyzing media that isn’t simply a block of text. One of the big hurdles that engineers at Google, Bing and other search engines are still trying to overcome is the problem of Flash. More and more often, Flash is being used on people’s web pages for web design, application use, and, of course, videos. However, despite it’s popularity that hurdle still persists, and search engines often struggle to properly index content that is coded in Flash. So, rather than rely on a not-so-reliable system of search engines analyzing video content on your site and crossing your fingers that it gets indexed, instead there is another option at hand. 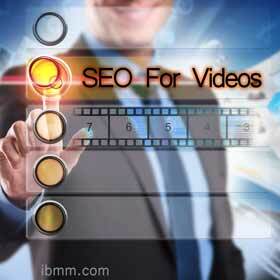 The potential to submit a video sitemap is the solution to the problem of inadequate indexing of videos. Through services such as Google’s Webmaster Tools you can submit a video sitemap, to give the search engine information about the video content on your site. Likewise, you can often give additional information about this video content that will help search engines better rank your content for certain keywords and local audiences. A little-known secret when it comes to video SEO, is the possibility of captions or transcripts. On the most popular video sharing service, Youtube, uploaders have the option of adding a transcript to their video for those who are hearing impaired, so that they can still view a video and appreciate what is being said, even if they themselves can’t hear it. However, a little known fact is that these transcripts — unlike the videos themselves — are crawlable by search engines’ spiders. Therefore, if your video is applicable to a topic and you’ve transcribed it accurately, it can help get the video indexed in SERPs. Regardless, you can also go in and edit those computer generated captions to eliminate any gaping errors. After all, if the whole video’s captions are incorrect, it’s not going to help get that video higher ranked on Google. 5. Shares and Likes Still Matter! As most SEO specialists can tell you, sharing a link to a website or having someone “like” or “+1” a page on Facebook or Google+ is a factor that will help you climb your way to the top of the search rankings. This is true of videos just as much as it is of websites. Think about it: when you search for a video on YouTube, the top result is typically the one with the most views (which is a result of the one that has been most commonly shared and liked). This means that even if you’re trying to “game the system” by appealing to search engines, you still need to make content that is appealing to your audience. Encouraging viewers to share, comment and like your video content will pay dividends when you’re trying to promote a video you’ve created for your site. 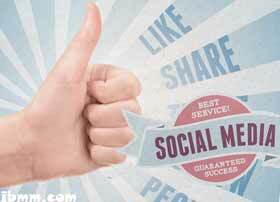 Previous article: Are You Making This Costly Mistake On Your Business Web Site?